National Library Week is April 9 – 15, is a time to remind the public about the contributions libraries, librarians and library workers make to their communities every day. Today’s libraries are faced with the challenges of responding to the ever changing needs and interests of their communities. Libraries and librarians throughout the country provide their communities with tailor-made collections and services for people of diverse backgrounds, language abilities and technological skills. 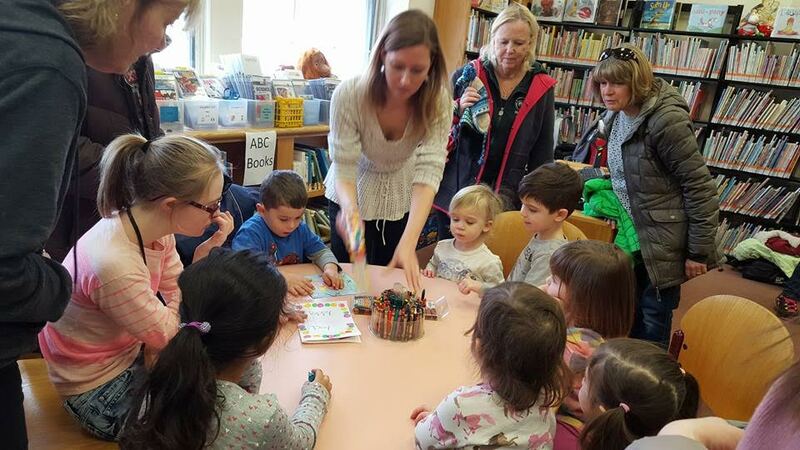 The Ramapo Catskill Library System (RCLS) and its member libraries during National Library Week are celebrating the dynamic changes that are happening in today’s libraries and to highlight the transforming role that libraries play in the lives of people and communities. The library helps children and adults alike to learn, grow and achieve their dreams. Celebrate today by visiting your library – in person or online and discover how “Libraries Transform” and help people to thrive in the digital age. National Library Week 2017 marks the 17th year of The Campaign for America’s Libraries, a multi-year public education campaign sponsored by the American Library Association (ALA), and libraries across the country to speak loudly and clearly about the value of libraries and librarians in the 21st century. What makes the library unique is access to trained professionals – librarians – to help people find and interpret the information they need. In a recent survey by the Pew Internet & American Life Project and the University of Illinois, seven in ten library visitors reported receiving assistance from library staff, and 88 percent say they found a lot or some of what they were seeking. National Library Week is the perfect time to celebrate the fact that “Libraries Transform” lives and communities. For more information on special events and programs being held during National Library Week, contact your local library listed in the white pages of your telephone book or visit the Ramapo Catskill Library System’s Website atwww.rcls.org. The Ramapo Catskill Library System is a state mandated organization serving 47 member libraries in Orange, Rockland, Sullivan and part of Ulster Counties. RCLS provides centralized automation, consulting and support services, delivery of materials, coordinates and facilitates cooperation among member libraries, and is engaged in advocacy for and promotion of public libraries.